Look like a Monet! 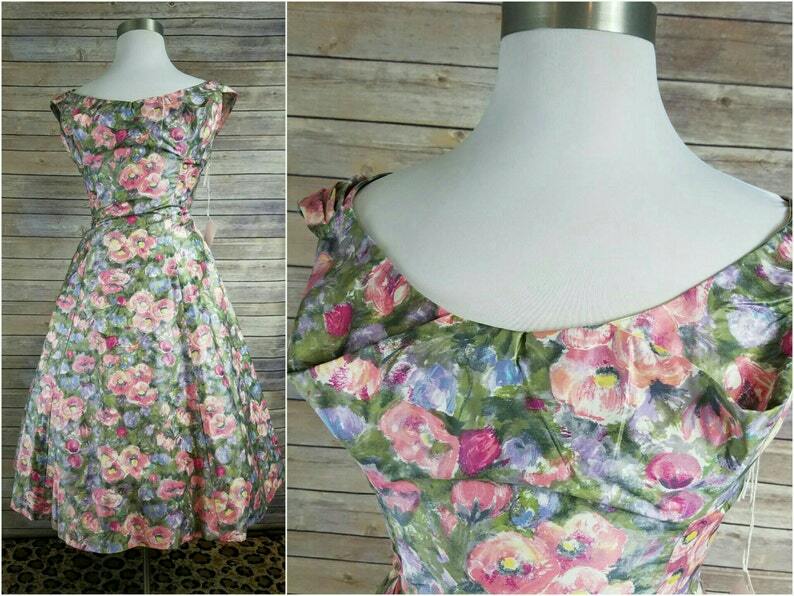 Gorgeous, painterly watercolor dress circa 1950s. Origami pleating and decorative draping throughout the neckline and skirt of the dress. New Look dress would look incredible with a petticoat. Off shoulder, boat neckline.